I love the look of a bold chevron maxi dress. I think it gives off such a spunky and girly attitude, and this one is no different. The two bright, bold colors light up a room and are just so fun! As far as strapless dresses go, the top on this one fits very nicely, and I don't find myself pulling it up all day long! This outfit would be perfect for a spring evening or backyard barbecue. 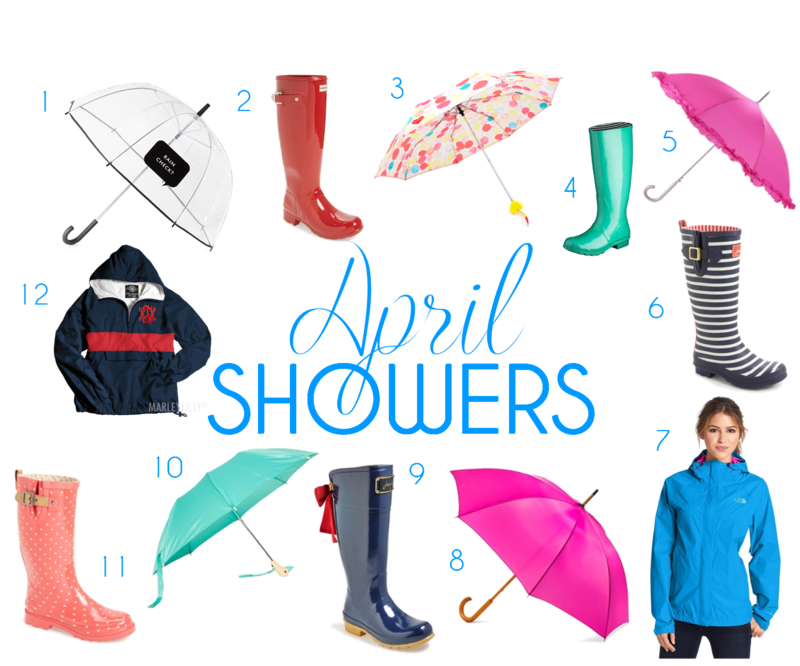 With the rainy season coming in full swing, why not be prepared with cute, colorful rain gear? It's hard to get more nautical than a red, white, and blue outfit topped with a sailboat scarf. 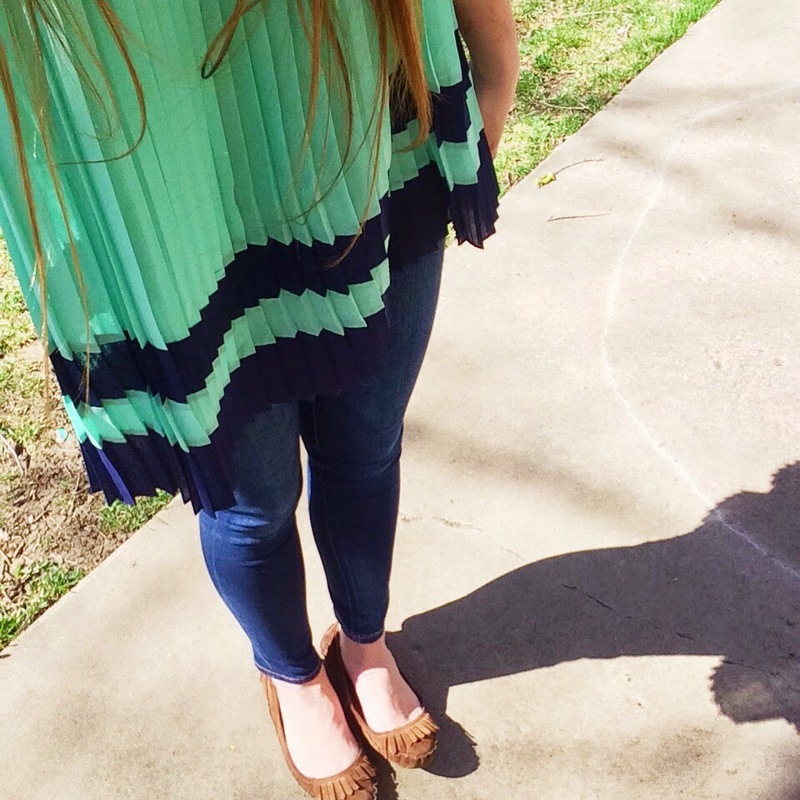 This scarf is perfect for spring because it is so light weight and is made up of lighter colors. I have always had issues with figuring out how to style a non-infinity scarf; I just never know how to tie them, and I'm not the biggest fan of them tickling my thighs all day. But I tried out tying the ends in little knots, and I think it turned out pretty cute! Nothing screams summer like a comfy maxi dress. I got this beautiful chevron dress from TJ Maxx for only $14.99, yep you heard it right, $14.99. You cannot ask for a better deal than that! Another great thing about this dress is that it is the perfect length for shorter girls (like 5'4); I cannot tell you how many maxi dress I trip on because they're slightly too long on me, #frustrating. Plus, the cutout on the back is just darling! I have lately been obsessing over boho maxi skirts: I think they are so fun for summer and are so cute for many occasions. 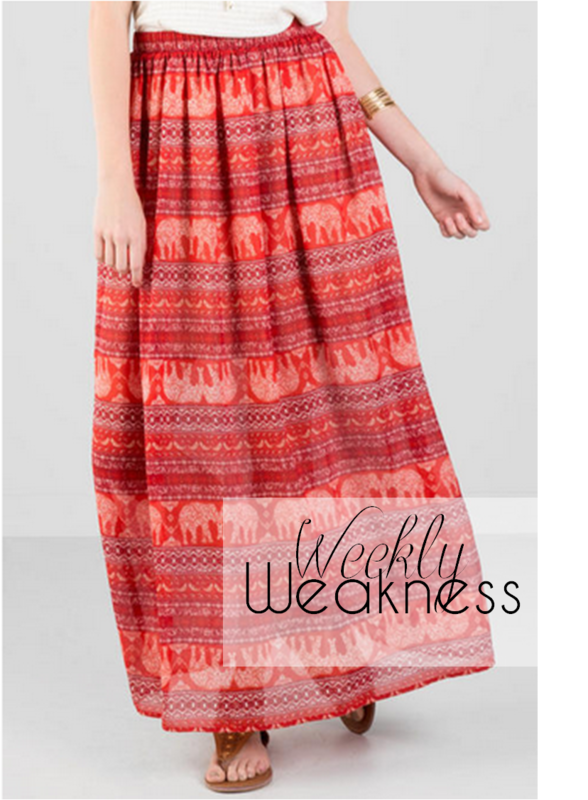 I especially like this one because it has elephants on it and the colors remind me of a gorgeous sunset! I think this would look so cute with a white short sleeve crop top and some brown sandals. Now that the weather is warming up it's time to let your little toes free and get some new sandals! 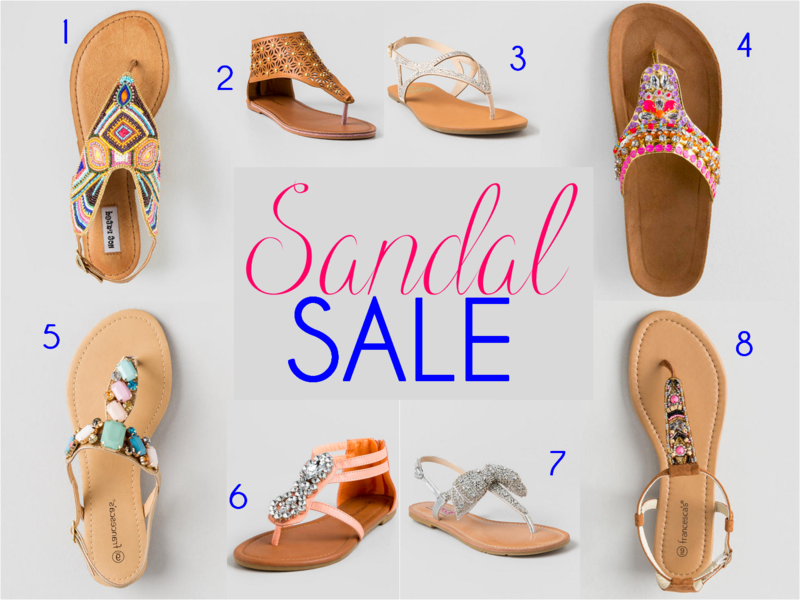 Luckily for all of us girls on a pretty tight budget, Francesca's is having a 30% off all of their sandals! It's only for a limited time though, so get 'em while they're hot ladies! I have listed my picks from the sale. 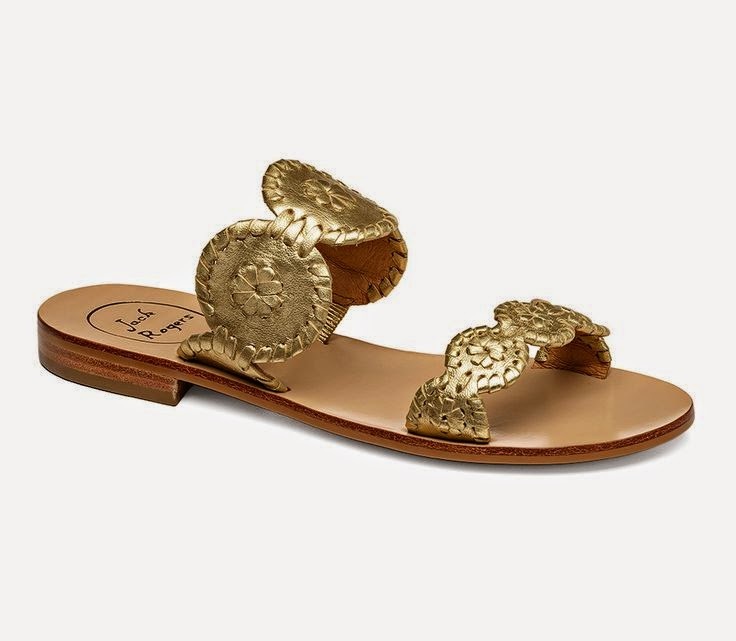 The first and fifth sandal have actually stolen my heart...I WISH I had money right now to buy them, because you better bet that I would be wearing those puppies 24/7! They are such a colorful, fun statement piece and would match just about any outfit (what every girl wants right?!). This romper is EVERYTHING. I had been eyeing it for so long, and I finally caved and bought it. Let me just say, it was the best decision of my life! The fit and pattern make it extremely slimming, and I love the capped sleeves! I haven't seen a ton of rompers with them. Plus, the colors, navy and white, are so easy to pair with accessories. I chose red (I mean who doesn't love America right?! ), but you could also pair it with coral, turquoise or fuchsia to name a few! I just feel so sassy and ready to take on the world in this romper; definitely one of my favorite pieces! Don't wait! Today is the second day of ShopBop's Friends and Family Sale, and things are going fast! Using the code SPRING25 you can get 25% off the entire site. 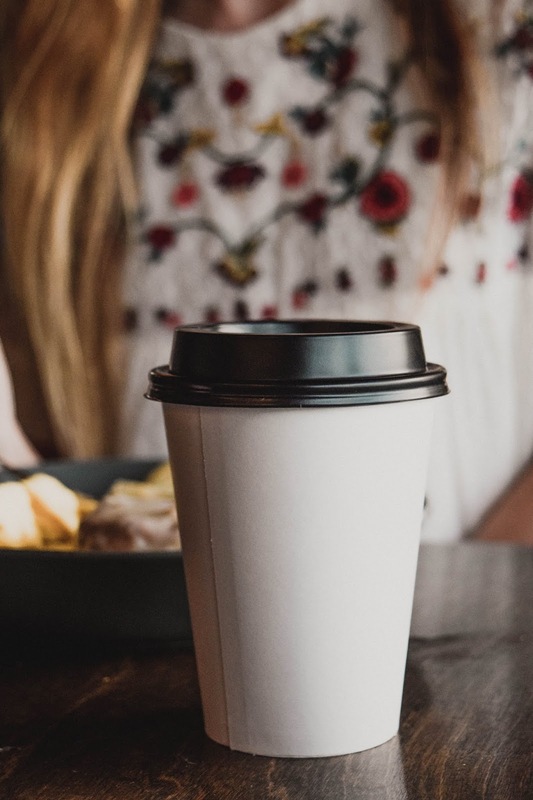 Now I am not a girl with the largest budget, so I compiled a list of my picks from the sale all within a pretty reasonable price range (let me tell ya, some of their products get super expensive). Be sure to scoop up your favorites ASAP because the sale ends April 10th. So what are you waiting for? Get your credit card out and start filling that cart with tons of colorful goodies! Animal prints can be hard to pull off, and many argue that they should have gone out of style ages ago, but I think if you balance them out with solid neutrals you can pull off the busy prints. Here I paired my leopard print blouse with all black and left it unbuttoned and rolled up the sleeves for a more relaxed look. This would be a perfect outfit for a night out if you don't want to wear a dress or skirt! Tweed shorts are typically seen as a winter piece, but you can also transition them into spring like I did here! These glittery, tweed, gold shorts matched perfectly with my mint blouse that also has gold detailing on the top. It's another way to work in the pastel trend for the springtime, while not quite yet giving up your winter pieces. 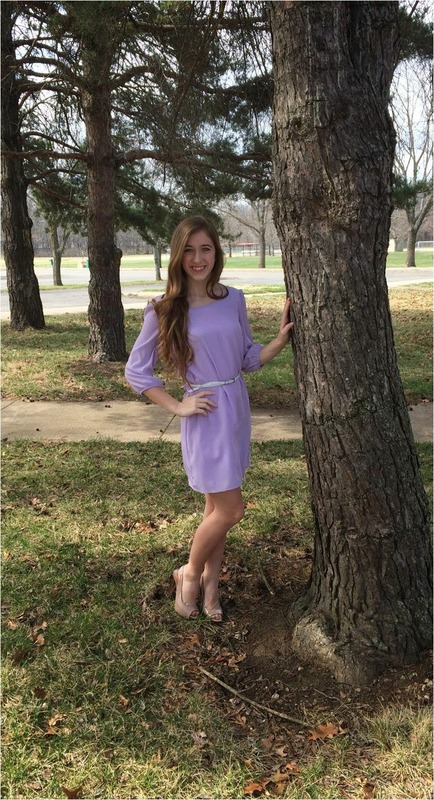 Easter dresses are known for their pastel, flowy, springtime nature, and this dress is no different. This dress from Red Dress Boutique is very modest and comfortable for activities throughout the day, and while I think these Jessica Simpson slingbacks are really comfortable, you can also switch them out for some pretty sandals! I will definitely be wearing this classic number this Sunday!